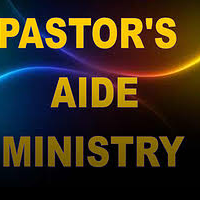 The Pastor’s Aide Committee assists the Pastor within the ministry; serving as caretakers of the Pastor and his family. The purpose of the Pastor’s Aide Committee is to provide service to the Pastor, ensuring that he is fully equipped, prepared, and able to fulfill his responsibilities in leading the congregation. The committee provides the support needed to the pastor and his family, whether it be in the form of prayer, encouragement through words, or other actions that show their love and gratitude to the pastoral family. Members must be prepared to assist by caring for the pastor’s belongings, anticipating the pastor’s needs and demands so as to properly furnish and supply what is needed. Our Mission: To serve and be of support to our pastor and his family in all areas of their lives with the love of God, ensuring their needs are met at all times. The Pastor’s Aide Committee keeps track of the pastor’s birthday and other special anniversaries or occasions, and may plan activities for these events. They will plan or assist other ministries in putting together special activities for Father’s Day, Pastor’s Appreciation Day and vacation, and assist the pastor in whatever he may need to best meet his goals for serving the congregation.